Planning the perfect fishing trip can be hard. What is it about your search for an outdoor adventure that is most appealing? Is it the thought of being out in the deep sea with a big boat, state of the art technology, and the best fishing gear on the market? All whilst wrestling massive fish? Then maybe you should consider fishing in Venice, Louisiana. We are going to go over the top 5 reasons why you should consider booking your next fishing trip in Venice, the yellowfin tuna fishing capital of the world. There is a plethora of fish that can be found while fishing offshore in Venice, Louisiana. The list could go on and on. We will just hit on some of the big fighters you might encounter while out on your fishing adventure. 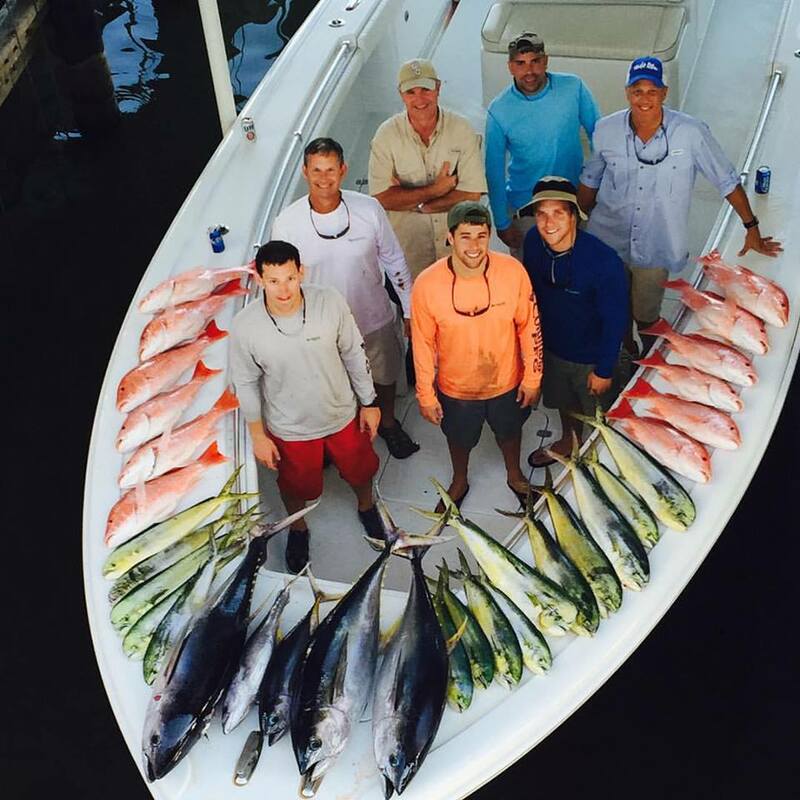 Offshore in Venice, LA you can find: white marlin, blue marlin, blackfin and yellowfin tuna, wahoo, mahi-mahi, amberjack, grouper, Mako sharks, cobia, mangrove snapper, dorado, king mackerel, and much more! There’s no telling what you might be fighting with while fishing here. Except for more than likely some monster yellowfin tuna, which we will talk about next. Venice, LA is known as “tuna town” and that is for good reason! Often times targeted out of Venice, yellowfin are some of the most challenging fish even to the most experienced fisherman. They have great eyesight and they’re fast swimmers. They can often be seen darting through the water! Yellowfin can be seen under the surface of the water and are often caught while swimming in schools. Captains use a variety of tactics to help catch these beasts. These tactics include top water fishing, live baiting, kite fishing, and chumming. 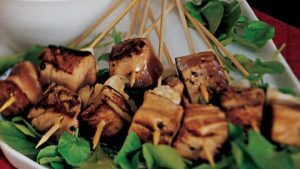 In the summer time the average tuna is 50-60 pounds. In the fall and winter months it’s much different. 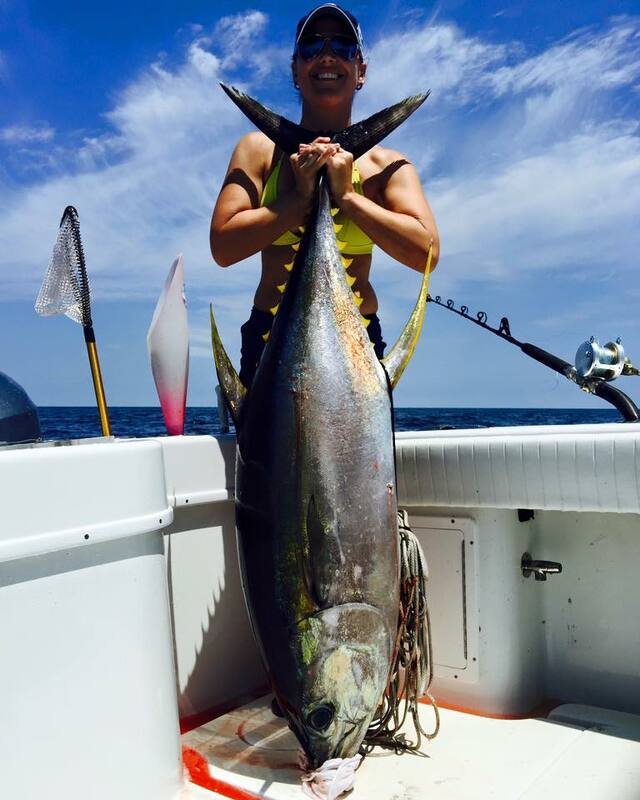 It’s not uncommon to see yellowfin over 200 pounds! If you want to catch a lot of big tuna, Venice, LA is the place! There are redfish in most areas, probably every coastal spot in Louisiana. What you may not know is Venice, La is at the mouth of the largest river in the country. A ton of nutrients come from this river and deposits in the River Delta. This feeds the small little fish that you could say start the “food chain” that ultimately leads to the red fish and all the way up to the “bull reds”. If you go on a fishing trip in Venice, then you are more than likely going to go home with an abundance of food. No reason to be hungry for a LONG time. You will always have a fresh caught meal at home that you can cook with you family as you reminisce about your amazing fishing vacation. It’s always fun to look back and laugh about dad getting whooped by that 150lb tuna. 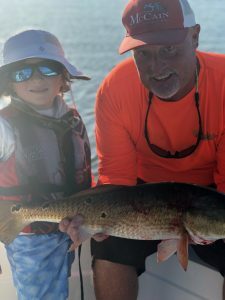 Ultimately, fishing with a charter service in Venice, La is a vacation. There are rarely times where the whole family can equally enjoy a vacation as adults and kids usually like different things. This is different however, the whole family can enjoy a fishing trip like this. If you go with a professional chartering company like Home Run Charters, then you will be cruising on one of the one sophisticated, comfortable, and technologically equipped boats there is for fishing. But more important than that, you will have one of the most experienced captains guiding you on your trip, ensuring you have the most fun, make the most out of your trip, and of course that you catch a ton of fish. Our captains really know their stuff, you can not find a better guide. But above everything else, you will not find people that care more about your experience fishing in Venice, Louisiana. PreviousPrevious post:Why Shallow CrankBaits Are Awesome For Catching RedfishNextNext post:What is the Best Drone for Fishing?